We will have a two-tier selection and judging process: first the Jackson’s selection panel will select a longlist and then the panel of expert judges (curators, gallerists and artists) will select first a short-list and then the winners. 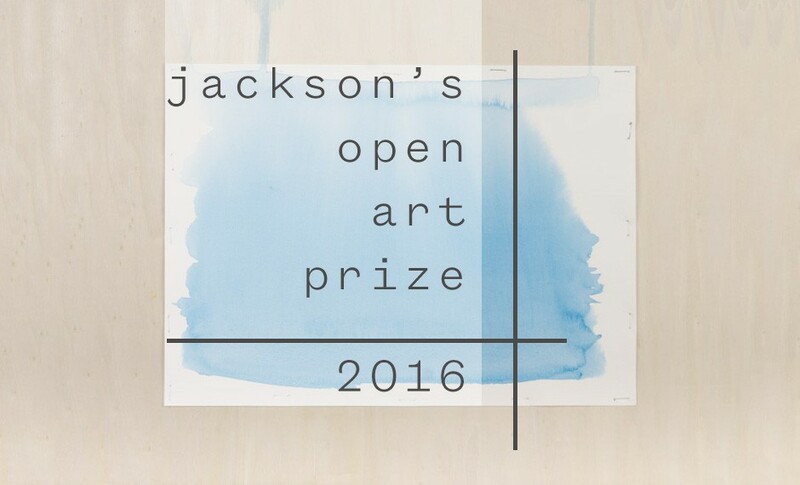 As we approach the 3rd April deadline for submitting your artwork to the Jackson’s Open Art Prize we will be selecting additional interim prize winners each week. For each week in March the Jackson’s panel will select a winner from the entries submitted so far. The winner will receive £100 or more worth of art materials. Submit your entry early to be included. Read more on the Jackson’s Art Blog. Carlos de Lins is a Brazilian artist living and working in London. His work explores the relationship between modern city-dwellers and the giant concrete and glass edifices which delimit their horizons. 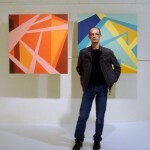 He is also the current director of Espacio Gallery in Shoreditch, London. Read our interview with Carlos de Lins. Hilary Daltry is a London based artist and head of Printmaking at The Heatherley School of Fine Art, Chelsea. She is best known for her multi-layered woodcut prints of fruits and still lifes. Her work is regularly exhibited at the Royal Academy Summer Exhibition and she is an elected member of the Royal Society of Painter-Printmakers. Read our interview with Hillary Daltry. Hugo Grenville’s colour-filled, romantic paintings have earned him a reputation as one of today’s leading painters. 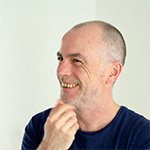 In a career than has spanned nearly 3 decades he has had over 20 one-man exhibitions, including shows at Messum’s on Cork Street and Wally Findlay Galleries in Palm Beach and New York. He was shortlisted for the Threadneedle Prize in 2013. 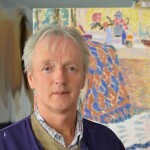 He is the founder of The Grenville School of Painting, and writes regularly for publications such as The Artist and Artists and Illustrators. Read our interview with Hugo Grenville. 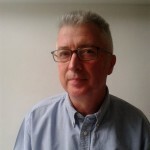 James Hobbs is an artist and freelance journalist. He is the author of ‘Sketch Your World’ and former editor of Artists & Illustrators magazine, and has freelanced for publications including the Art Newspaper, the Guardian, New Statesman and Art World. He regularly contributes his vibrant ink drawings to the Urban Sketchers and London Urban Sketchers blogs, which celebrate the art of drawing the world from direct observation. He has just completed a new book which will be published next year. Read our interview with James Hobbs. Paul Bell is a Scottish artist living in Buckinghamshire. His use of bold colour and simple composition are the cornerstone of his work. Paul works in a variety of mediums but predominently Oil and Acrylic and takes inspiration from people, landscape, cityscape and still life. His most notable achievements to date were making the last round of 250 in the 2014 BP Portrait Award, winning the BBC1 series ‘The Big Painting Challenge’ and as a consequence two paintings produced during the programme hung in Tate Britain. Read our interview with with Paul Bell. 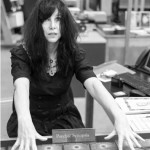 Sarah Sparkes is an artist and curator. 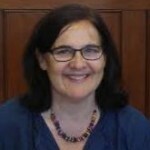 She runs the visual arts and research project GHost and has published on and regularly lectures about this subject. She has exhibited widely, both in the UK and internationally. Recent exhibitions and commissions include: English Magic at New Art Projects, London; Fall of the Rebel Angels at this years Venice Biennale; Theatrical Dynamics at Torrance Art Museum, Los Angeles, U.S.A. She is currently developing a new commission for an exhibition at FACT exploring science and magic, curated by Rob La Frenais. She is the winner of this years MERU Art*Science award for the production of an artist’s film exploring blackholes, inner and outer time. Read our interview with Sarah Sparkes. The Jackson’s Open Art Prize entries close 3rd April 2016. If you are selected as a winner we will require an additional photo of you standing in front of your painting, drawing or original print for verification and publicity purposes. We may wish to see the artwork and will arrange this at our expense. The winning work must be available for viewing, if requested, and must be like the digital photo submission. Please do not submit an image if you do not have access to the original. We are building an FAQ Page as we go, you may find an answer to your question there. Our blog article Art Competition Selection Criteria with tips on things judges look for may be helpful to you. We will be interviewing the judges over the next few weeks. For the latest updates, follow us on Twitter & Facebook and subscribe to our newsletter. The information you provide will only be used for this promotion and related materials.